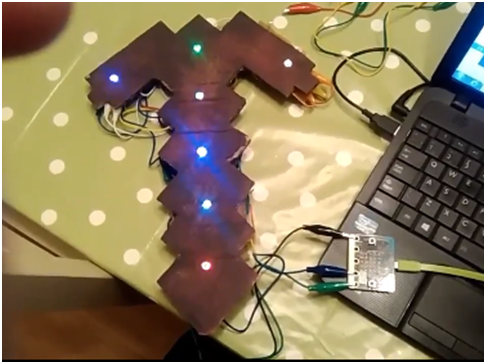 The picture below shows how the Micro:bit is set up, It has 7 neo-pixel lights sequentially connected with clips. P.s. and Lots of tape to hold it all down! Repeatedly displays random colours onto the LED strip. This example requires a strip of 7 Neopixels (WS2812) connected to pin0.